Preheat oven to 400°F. Coat a 9” baking pan with cooking spray. Roast for 30 minutes. After first 15 minutes, toss pears with a metal spatula and return to oven. While pears are roasting, whip the cream and maple syrup until fluffy. 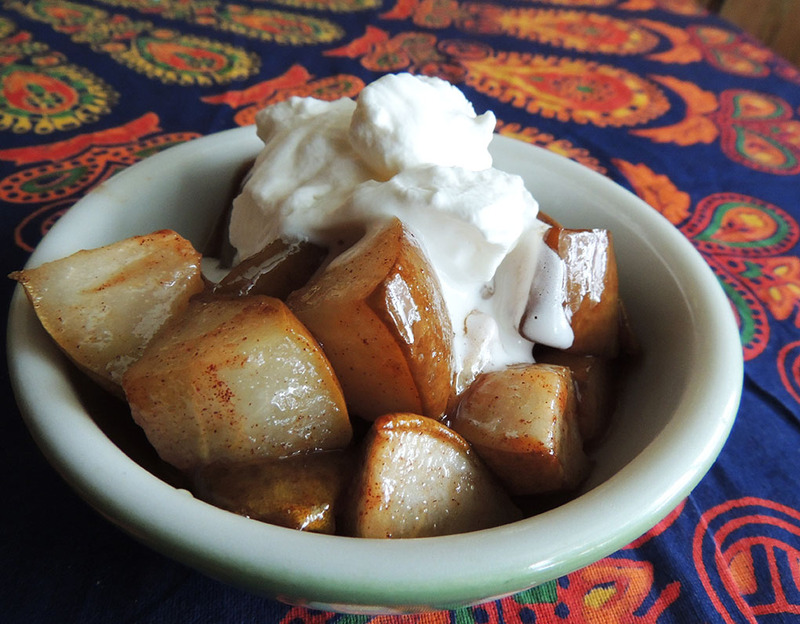 Let pears cool a few minutes and serve with whipped cream.